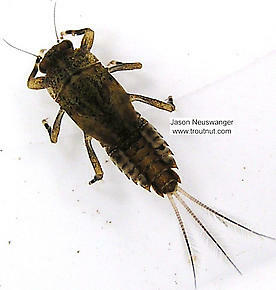 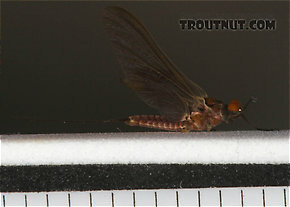 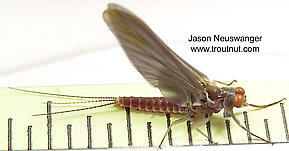 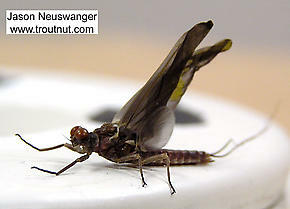 Female Ephemerella subvaria (Hendrickson) Mayfly Spinner View 5 PicturesThis female Hendrickson spinner is in kind of bad shape, but at least now I've got some good closeup photos of one. 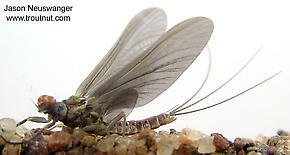 I collected her and a male Hendrickson as duns from the same hatch, and both molted into spinners in my house within a couple of days. 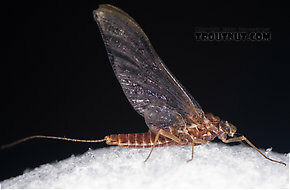 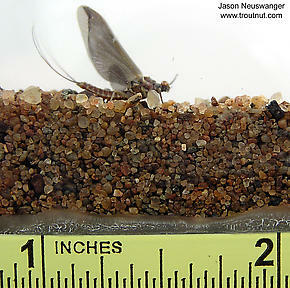 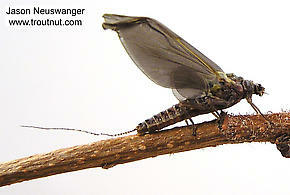 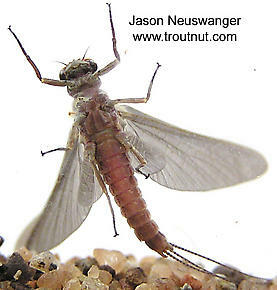 Male Ephemerella subvaria (Hendrickson) Mayfly Dun View 5 PicturesThis one hatched around 2 pm on opening day of trout season.